Linda Sanborn, left, has won the Maine Senate seat now held by Amy Volk. 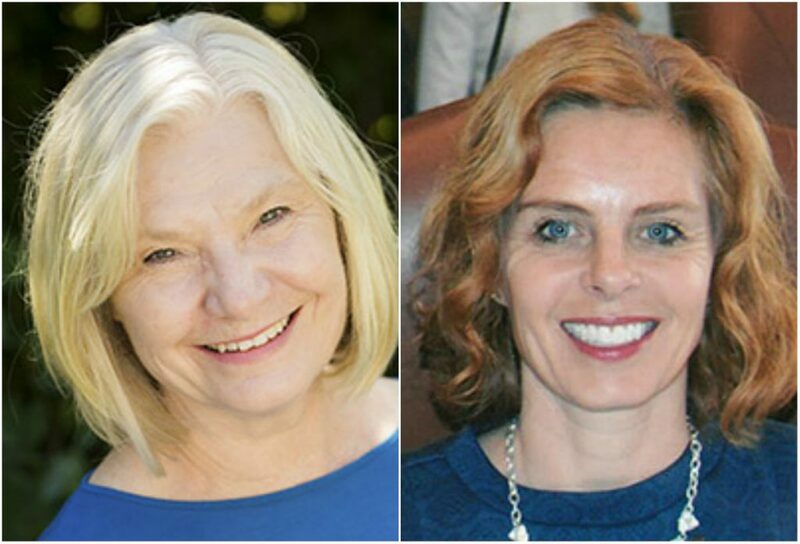 In a major upset, Republican Senator Amy Volk of Scarborough has lost her seat in District 30 to Linda Sanborn, a former Democratic legislator. Volk, 49, a popular and well-known lawmaker who was assistant Republican Senate leader, has represented her community in the State House since 2011. “I would say I wish Linda Sanborn well, I thank her for running a clean campaign, and I wish nothing but the best for the state of Maine,” she said. Partial results from Tuesday night showed Volk leading Sanborn by less than 550 votes with only 67 percent of the ballots tallied. That was before a batch of more than 2,900 absentee ballots were counted in Gorham. Official results from Gorham were not available Wednesday afternoon, but unofficial results had been provided to the candidates, Assistant Town Clerk Paula Nystrom said. The results surprised Sanborn as much as they did her competitor. “Amy is a really tough opponent, really well known, really well liked in her community and Gorham,” Sanborn, 66, said in an interview. Only 172 votes separated the two candidates, Sanborn said. Sanborn, a retired family physician, was a state representative from 2009 to 2016. Health care emerged as a huge issue in the campaign, and her support for expanding Medicaid in the state probably lent her some support from voters, Sanborn said. “Being on the right side of that issue and knowing people’s opinion of that has come around to supporting it in this district has been big,” she said. Volk voted against expanding MaineCare, the state’s Medicaid program. In an interview this fall she said she now supports expansion because a majority of voters in her district approved a ballot measure to extend health care to 70,000 Mainers. Sanborn, a publicly financed candidate, outspent Volk more than 2-to-1, according to campaign finance reports from the Maine Ethics Commission. Sanborn spent a total of $63,080 to Volk’s $28,777. Sanborn’s win cements a clear Democrat majority in the Maine Senate. Volk is a small-business owner whose husband, Derek, is president of Volk Packaging in Biddeford.